G4 Cancels ‘Attack of the Show’ and ‘X-Play’!!! Attack of the Show! and X-Play are the longest-running and defining series for G4 through its first decade. 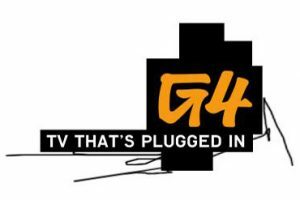 With the shows ending production at the end of 2012, G4 is getting set to showcase the landmark series as they wind down their long runs on the network. Here’s The Trailer For ‘The Walking Dead’s Upcoming 7th Season!!! ‘Game of Thrones’ Aftershow ‘After the Thrones’ Set Up For HBO!!! Robert Kirkman’s Exorcism Drama ‘Outcast’ Lands at Cinemax !!! This entry was posted on Friday, October 26th, 2012 at 3:03 pm	and is filed under News, Television. You can follow any responses to this entry through the RSS 2.0 feed. You can skip to the end and leave a response. Pinging is currently not allowed. « Adam Sandler’s Next Film Will Be…. I knew the mob wouldn't go down without a fight. But this is different. They crossed the line. You crossed the line first, sir. You squeezed them, you hammered them. And in their desperation they turned to a man they didn't fully understand.